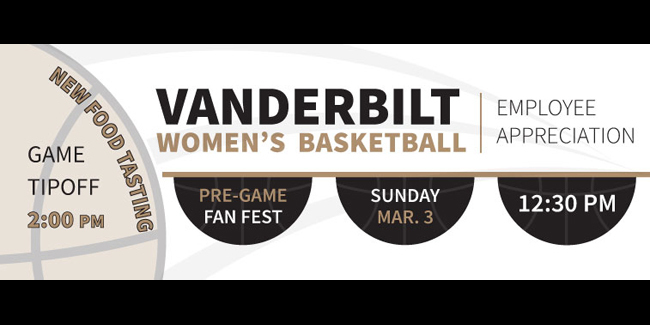 Vanderbilt University employees and their families are invited to cheer on the Vanderbilt women’s basketball team as they take on the Florida Gators on Sunday, March 3. 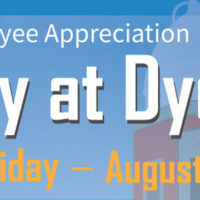 The free Employee Appreciation event begins with a Fan Fest at 12:30 p.m. in the Memorial Practice Gym, followed by the game at 2 p.m. The Fan Fest will feature games, inflatables and other fun activities for kids of all ages. 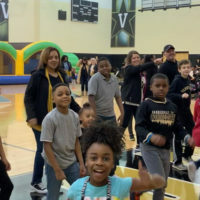 Vanderbilt University employees must register to attend the Fan Fest and game at vu.edu/bball between Feb. 6 and Feb. 26. Please register, even if you plan to attend the pre-game event only. Game tickets are free but must be reserved in advance. Tickets can be picked up at the practice gym beginning at 12:30 p.m. on Feb. 26 only; there is no early pickup. All game attendees, regardless of age, must have a ticket to enter Memorial Gym. Once you receive your tickets, you are not permitted to leave and re-enter the gym. You’ll need to show your VU ID to pick up tickets. Please wear black and gold to show your Vanderbilt spirit. Free tickets will not be given to anyone wearing blue/orange apparel or the Gators logo. Any unclaimed tickets to the game will be handed out on a first-come, first-served basis at the pregame Fan Fest beginning at 1:50 p.m. 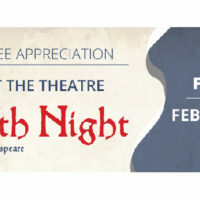 Parking for the event is available in the lots at the corner of Natchez Trace and Jess Neely Drive, or you may park in your normal parking location. 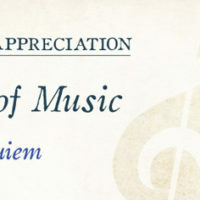 For more information, visit vu.edu/bball.